How ideas come about in abstract paintings by artist Tamiko Braun. This year has been an interesting year visiting various on-site locations and working closely with potential clients and on-going collectors. One of my favourite pieces completed was done for a client who had decided to make major changes in her life. I had visited her home a few times and based on the lay out of her home, her deco and hearing her life story, where she had been in her life, what she had experienced and where she wanted to be and where she wanted to go, "An Epic Journey" was born and created. It was inspired by Michelangelo's Creation of Adam. 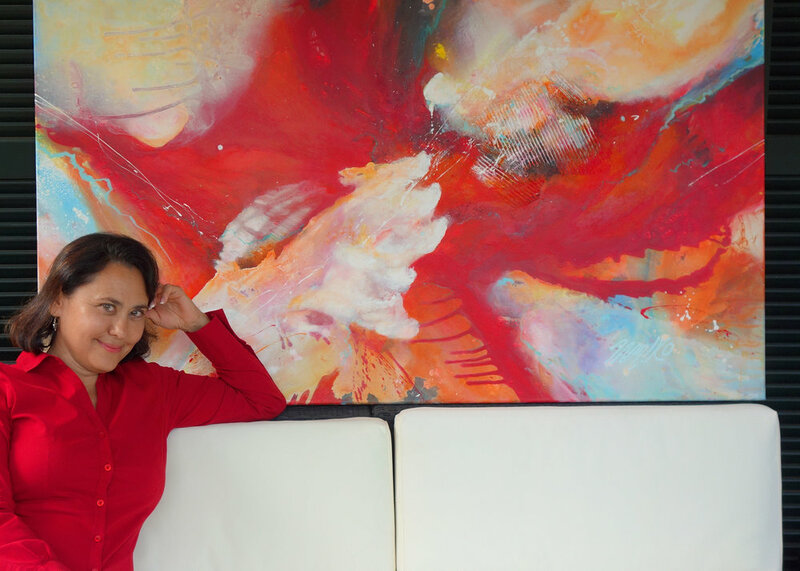 If you have a personal story you want to have created and told, I'd be happy to drop by and brain storm creative ideas on just how we can get that perfect individual artwork up on your walls. Drop me a line at: info@tamikobraun.com.